“The Lord is close to the brokenhearted” (Psalm 34:19). Brokenhearted. I feel confident that we have all used that word to describe ourselves at some point in our lives. Perhaps nothing is more human than experiencing heartbreak. Do we realize that Jesus, while fully divine and fully human, experienced heartbreak in His humanity as well? All of the disappointment, loss, betrayal, shame (and the list goes on and on) that we feel, He also felt, without sinning of course. Both the First Reading and the Gospel for today show how Jesus was misunderstood, scorned, and hated. Add to that His agonizing Passion and death, His physical heart pierced while He hung from the Cross, and I’d say yes, Our Lord knows what it is to be brokenhearted. 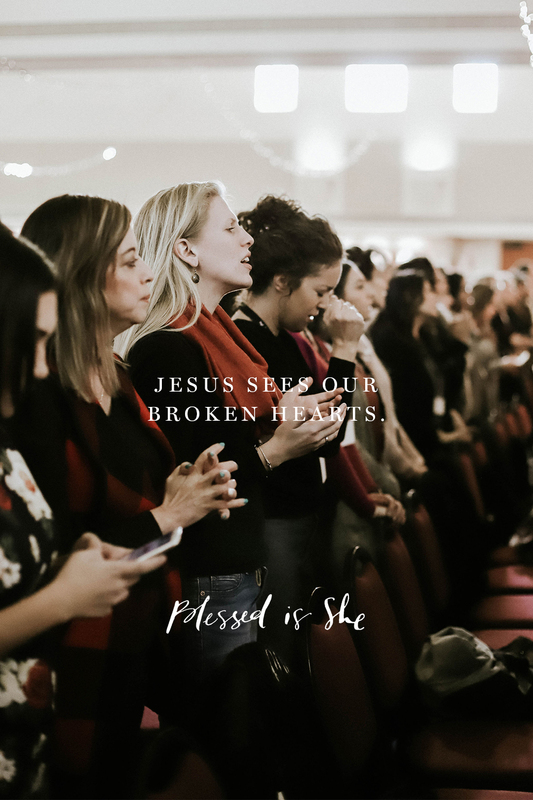 It can bring great comfort to know that Jesus sees our broken hearts. He knows how we feel, and He gladly suffers with us. But do we ever think to suffer with Him? When suffering comes we can do two things. We can sit in our suffering and be miserable, or we can unite our suffering with Christ’s and have Him redeem it, transforming it into grace for us, for the Church, and for the whole world. Our pain and heartache may not go away, but our suffering takes on new meaning when we offer it to Jesus. The season of Lent is the perfect time to practice this kind of suffering when we are focusing intently on the suffering of Christ. Our Lord is near, bending low, broken and bruised for love of us. Let us offer our broken hearts to Him, and stretch out our hands to receive His grace. An article by our Theological Editor goes deeper into unitive suffering. This is crazy! I’m coming into the church this Easter and I was just wondering to myself yesterday about this view of suffering. I’m so used to just asking God to take away my suffering but I never had thought before becoming Catholic that my suffering could be united to His. Thank you for sharing Anna! Welcome! As you enter into a “burning bush” encounter with the Lord, as your heart is enlarged to receive Signs of God’s love for you so that the joyful hope of salvation can not be taken from you… God with you gives you everything you need to endure anything. Anything. You too, like Mary, are invited to “ponder in your heart” all of these gathered Signs of God’s Love, The Word of God, the Gifts of the Holy Spirit, the Sacraments, the Corporal and Spiritual Works of Mercy all of these cannot be taken from you for and are the reality of God’s Presence with you — through whatever you endure. These are not like anything thing else you’ve experienced. Not like scout badges you earned. Not like a club card membership you paid for. Not even like a passport – stamped and validated only to be stuffed in a drawer and forgotten. A new you of you Lives! Moses, take off your shoes! for you are standing on Holy Ground in the Heart of God’s Love. May your heart always sing to the Holy Spirit, hear I am Lord, I come to do your will.